1. Authors should submit a regular paper with 5~6 pages in length, including all figures, tables, and references. 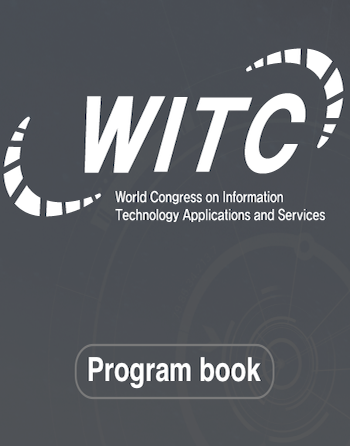 Please use conference paper template - World IT Template. Papers exceeding the page limits will be rejected without review. If you want to submit more than page limitation, you can add up to 2 extra pages with the appropriate fee payment.